Summary: Regarded as one of the most competitive Congressional seats in the country in 2014 and 2016, EIS Solutions helped Congressman Mike Coffman craft a plan for victory in both races that brought about landslide victories. With intensive press attention and almost $20 million in attack ads run against Coffman over the two races, EIS built a campaign that sought to win every aspect of the game, every single day. From nationally-acclaimed TV ads to the most effective ground game in Colorado Republican history, Congressman Coffman’s last two re-election campaigns have been praised as the best run Congressional campaigns in the country. Message Development: The 6th Congressional District of Colorado is one of the most diverse in the country and has voted Democratic in the last three presidential elections, including Clinton by 9% in 2016 and Obama by 5% in 2012. Knowing the importance of reaching split-ticket and swing voters, EIS Solutions helped Coffman project and fiercely protect his strong independent brand with compelling TV ads and an aggressive communications operation. Digital: With one of the youngest electorates in the country – almost half of registered voters are under the age of 45 – Colorado’s 6th Congressional District represents a digital canary in the coalmine, with an increasingly larger percentage of the electorate unplugged from live TV every year. To reach a diverse and young electorate, Coffman’s re-election campaigns were heavily focused on producing digitally effective content with data-driven placement. The campaign’s cutting edge digital strategy has been profiled the New York Times and Denver Post. Ground Game: EIS ran historic ground game operations in 2014 and 2016, creating such a dominant turnout Republican advantage in 2014 that it drove unexpected victories in down-ballot races. In 2016, Coffman’s ground game focused heavily on persuasion of swing voters, helping lead Coffman to outperform both Hillary Clinton and Donald Trump in the district. 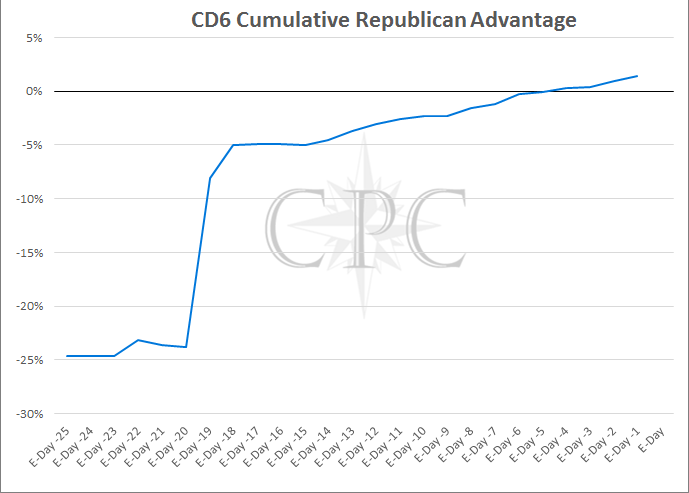 In 2016, Coffman’s ground game also helped turn an initial 5% Democratic turnout advantage into a Republican turnout advantage by Election Day. Whereas Hillary Clinton’s presidential campaign reportedly relied solely on data models and polls to determine who they should be communicating with, EIS knew exactly what voters were thinking about Congressman Coffman and the issues in the race – because we went to thousands of their homes and asked. This allowed the campaign to develop personalized messaging for targeted swing voters that led to Congressman Coffman receiving 35,000 more votes than Donald Trump in the 6th Congressional District.